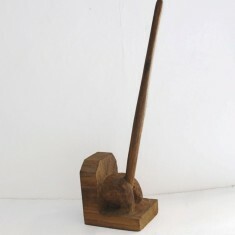 Small bird carved for Richard Geoffreys. 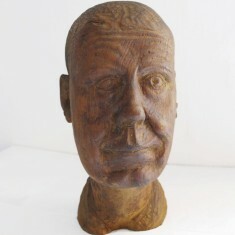 As a young boy resident in the village he was given sweets and this carving by the woodecarver as a reward for doing well at school and learning to put on his gas mask correctly. Harry Macdonald was brought up in Harewood near Leeds. 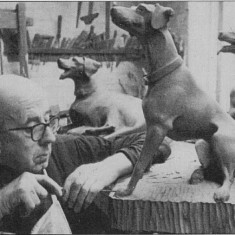 After his father’s death in 1937 he moved down to Hertfordshire and set up his woodcarving business in a barn at the junction of New Road and the Great North Road in Woolmer Green. 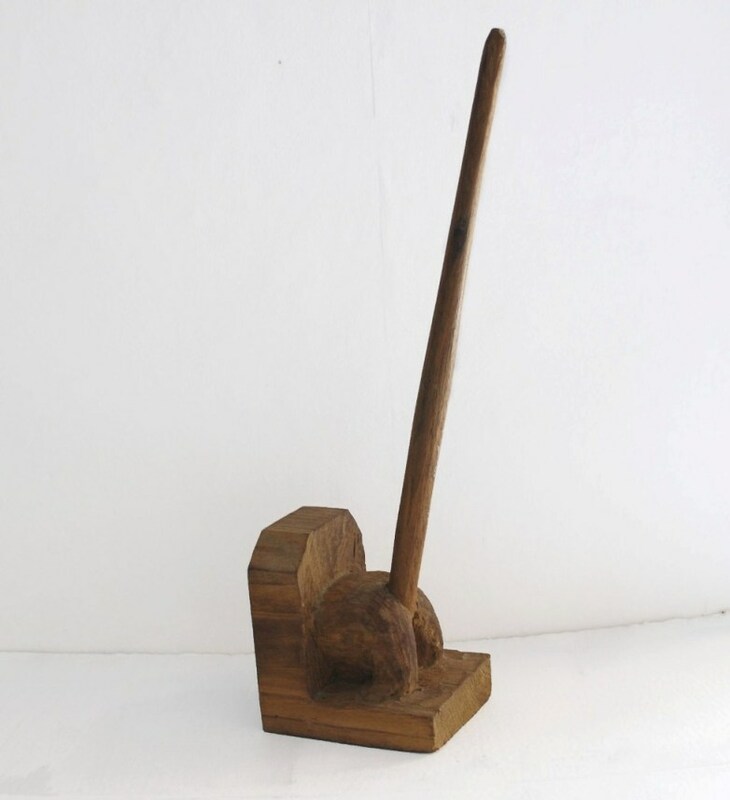 Initially he produced rustic garden furniture but business was rather sporadic. 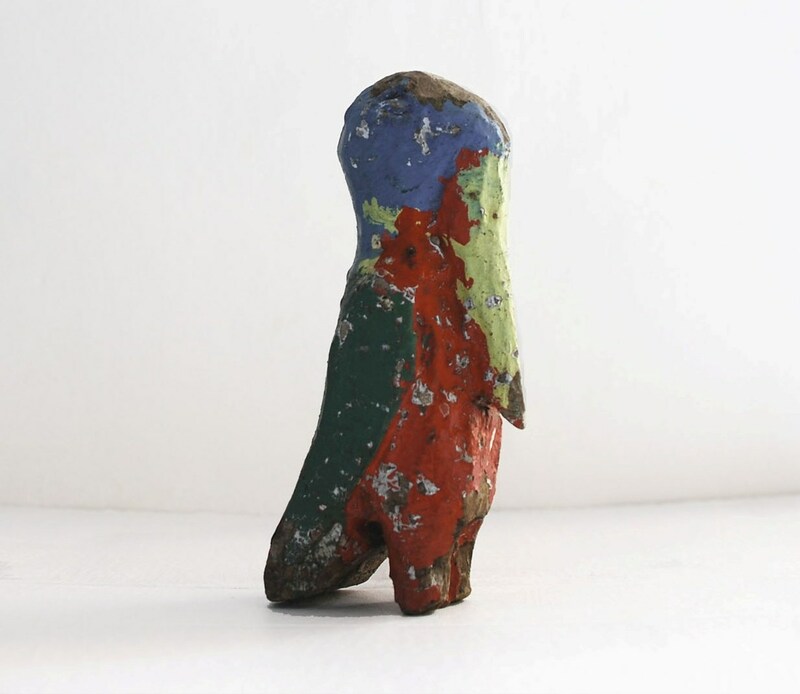 To attract new business Harry carved the giant figure of a policeman who stood holding up a hand to the passing traffic, encouraging passers by to stop and look at his business. This initial carving led to many more and several commissions including one from the Hertfordshire Society in the form of a carved trophy for the best-kept village sign. The side of Harry’s cottage was eventually covered with his carvings and became a local landmark. 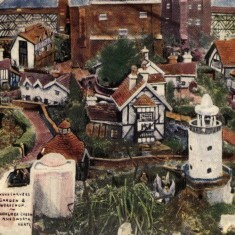 The garden too was full of Harry’s carvings and home to one of the first model villages in the country. 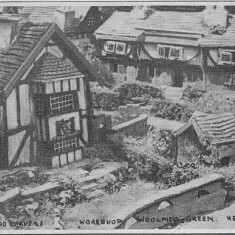 The model village included timber buildings, a ducking stool, stocks, a castle and several waterfalls and streams. 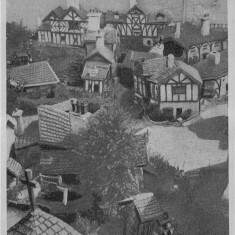 The village was populated with figures from children’s nursery rhymes, fairy tales and a nativity scene. Many of the buildings were automated and had moving parts operated by handles and foot pedals built into the walkways throughout the garden. Harry also had a bell which would ring whenever someone stood on a pedal at the entrance to his model village. At the sound of the bell he would immediately appear out of his workshop and ask for the entry fee. He always made sure nobody got in without paying. As a result he gained a reputation with some villagers for being rather abrupt. However this entry fee was often wavered for local children, many of whom would visit the model village in the evenings on their way home from school. The woodcarver’s cottage became so well known that it attracted the attention of several press agents and was the subject of newspaper and periodical articles and a number of short films. 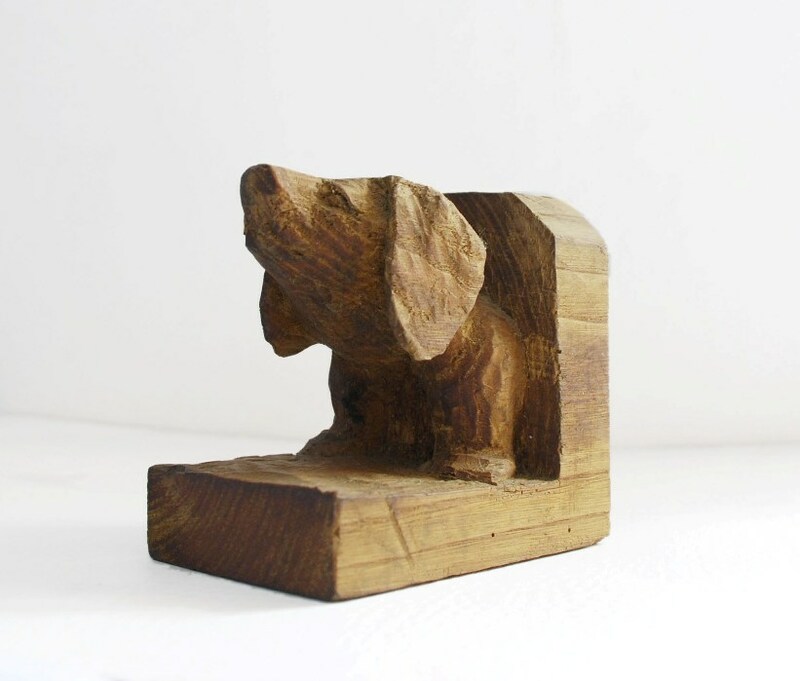 By the end of his life the woodcarver’s cottage was internationally famous. As a result during the Second World War a number of American and Australian servicemen visited his cottage and said they recognized it from films and magazines they had seen. 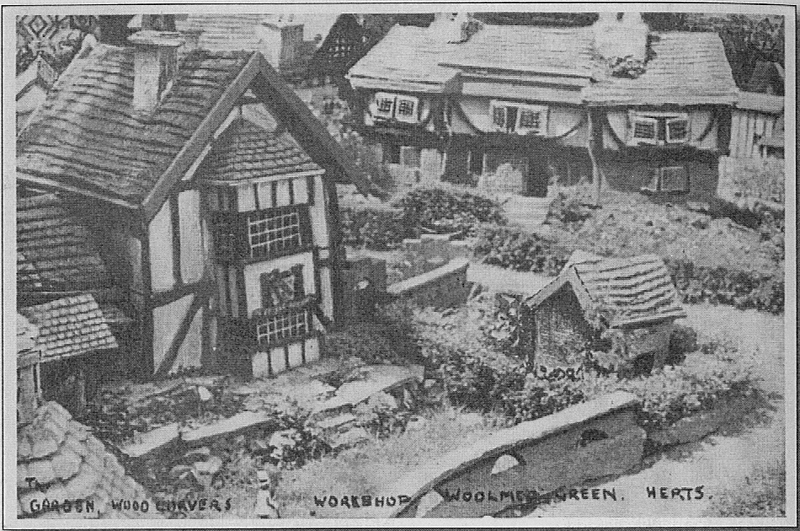 Click here to see surviving film footage of the woodcarver’s cottage and model village. The village was often very busy and on Bank holiday Mondays and Sundays crowds of cars and people queued up to see the carvings. On some occasions the numbers were so large the police had to come and direct the traffic. 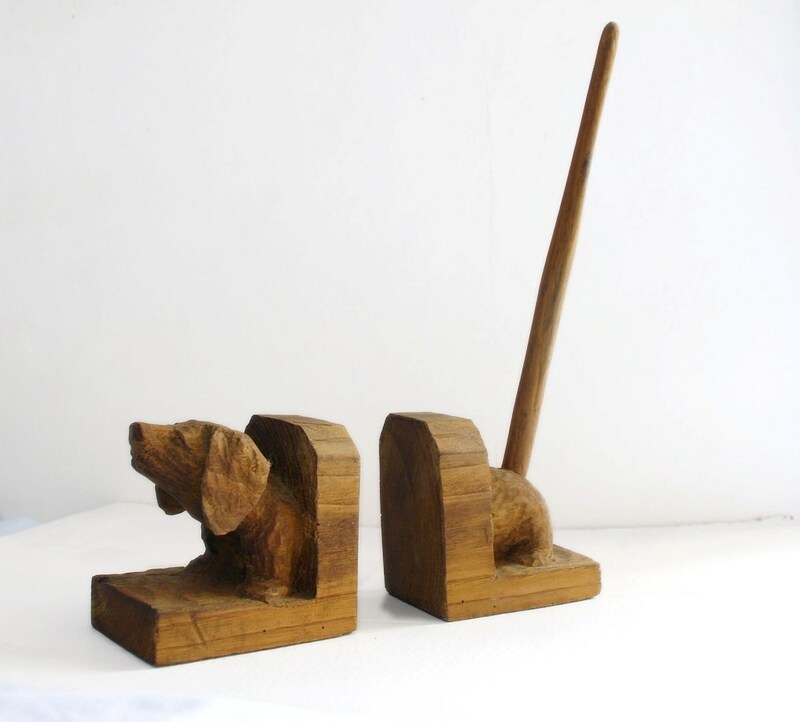 Over the years many stories have grown up around the Woodcarver and his workshop. One story relates how in the year of 1942 a military lorry travelling at night along the main road through the village crashed and demolished the majority of Harry’s garden display. One of the occupants of the lorry had been asleep and awoke to find himself amongst a host of life size carvings. Finding himself lying amongst several bodies came as a big shock and initially the man thought he was dead. This disaster didn’t seem to dint Harry’s enthusiasm and provided him with the opportunity to completely remodel the outside display. 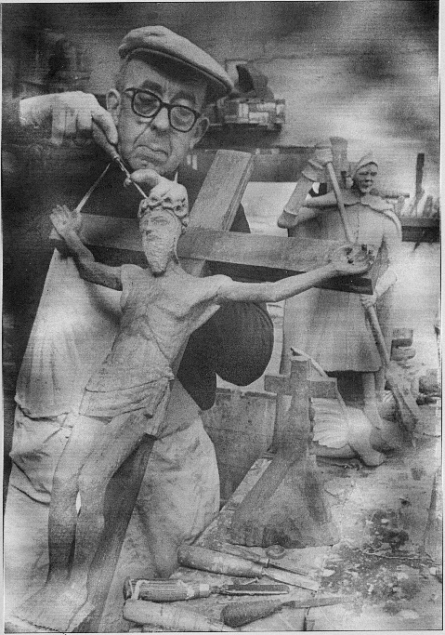 It seems he was a man whose work was never really finished. 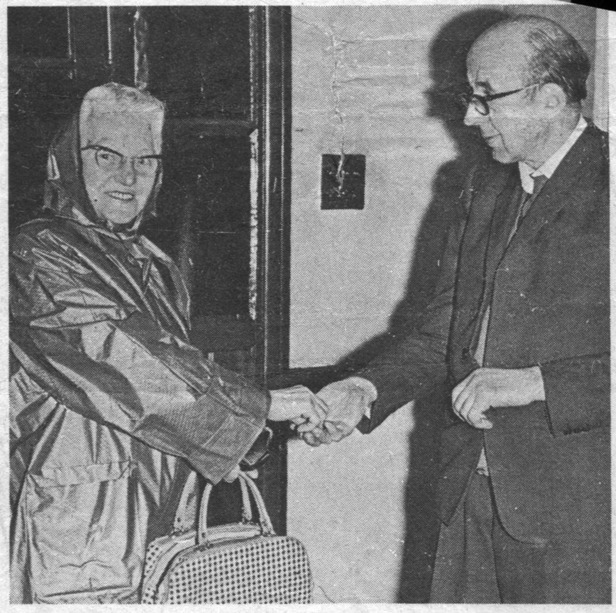 After Harry’s death in 1971 the cottage was bought by a local business manager Tony Jaffe. His intention was to reopen the model village to the public and use the woodcarver’s old workshop as a tea room for visitors. It was also hoped this space could be used as a local craft shop and gallery. Some locals were sceptical however and concerned that large numbers of visitors would park along the main road and create problems for residents. Others voiced a less feasible hope that the cottage should only be sold to another woodcarver. These divided opinions probably led to the lack of coordinated action on behalf of Harry Macdonald’s workshop. Sadly it was sold to developers and demolished to make way for housing. All that remains of this local landmark are press reports, photographs, and some surviving carvings. This page was added on 13/04/2010. 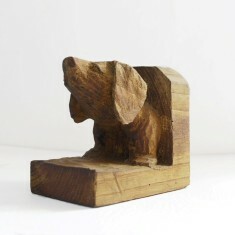 My father has given me his beloved dog carving that he has owned since I was a baby, the dog is called Tony and I used to sit by his side as a child. Many happy memories and wonderful to have him in my home now. It came with the book that Harry gave to my dad all about his home and carvings. Reply to a comment above. 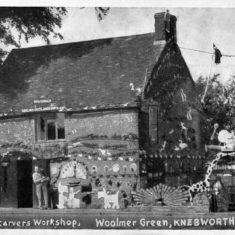 Polly’s Pantry was in Knebworth, to the left of what is now Simmons, the bakers. I had no idea there was film of this amazing place! What a blast from the past! I was born and brought up in Knebworth, and we must have walked past this mesmerising (and a bit spooky) place hundreds of times, as we liked to walk over to the “heath”, the woods at the far side of the field behind our road, then under the railway bridge into Woolmer Green. We often paid our little entrance fee and had a wander. My German grandparents also liked visiting it. We children always thought the house looked like the one in Hansel and Gretel! Wow a blast from the past , my mum and dad brought me and my sister to the cottage when we were about 9 or ten we had just moved from swindon to Stevenage , ill never forget being so amazed the disney world of the time , unforgettable . 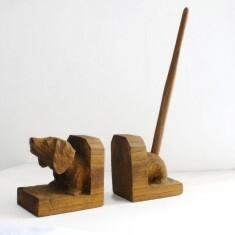 I also used to love going to the woodcarver’s cottage as a treat. 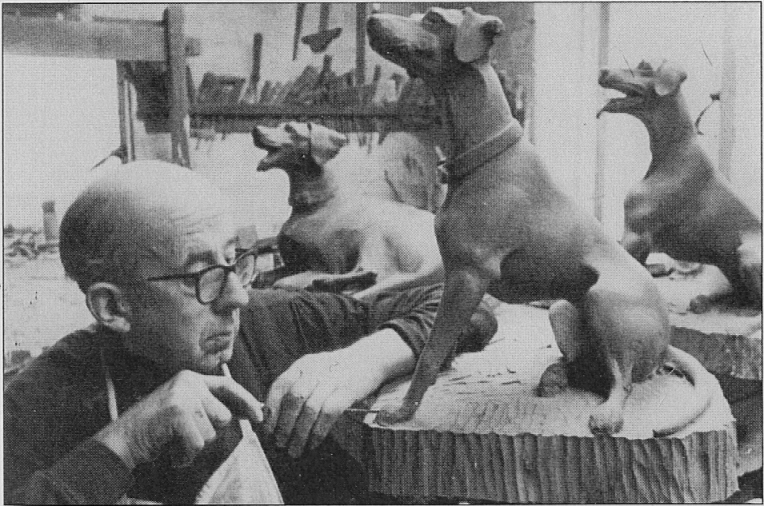 Apart from the woodcarving he also had quite a number of small pets in cages – all rabbits and guinea pigs, I think. When he died a neighbour of ours – Mrs Wells of Spinney Lane – somehow got lumbered with all these animals and had to find homes for them. We ended up with a huge all-black rabbit which lived happily as a pet with us for quite a few years. 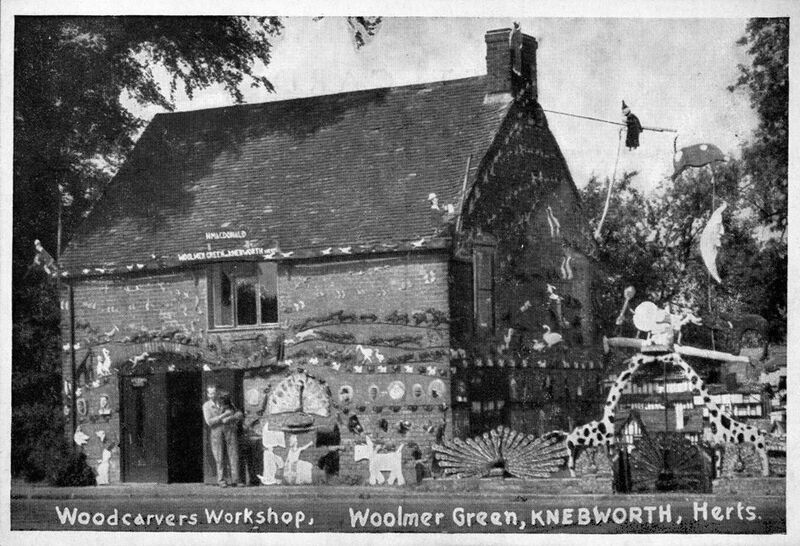 I remember the Woddcarvers cottage well, my father used to take me there often as we lived in Knebworth. Then later on in life I ended up living exactly where the Woodcarvers cottage was, my wife and I brought a 1st floor flat now named New Court. 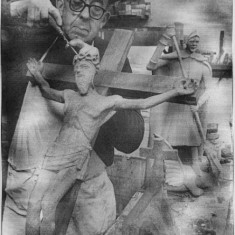 I still have very fond memories of meeting Harry and enjoyed visiting knowing he always had new carvings on each visit. Marcus Drage. Delightful page, nice to see the memory of Harry Macdonald still lives on. Just as an aside, is the location of Harry’s cottage known? How I remember my visits to the woodcarver’s cottage at Woolmer Green. I was devastated to discover that all that hard work put in by Harry Macdonald over all those years had been destroyed for ever. I had an uncle and aunt who lived not too far away in Hitchin and I would be taken to the cottage as a treat. 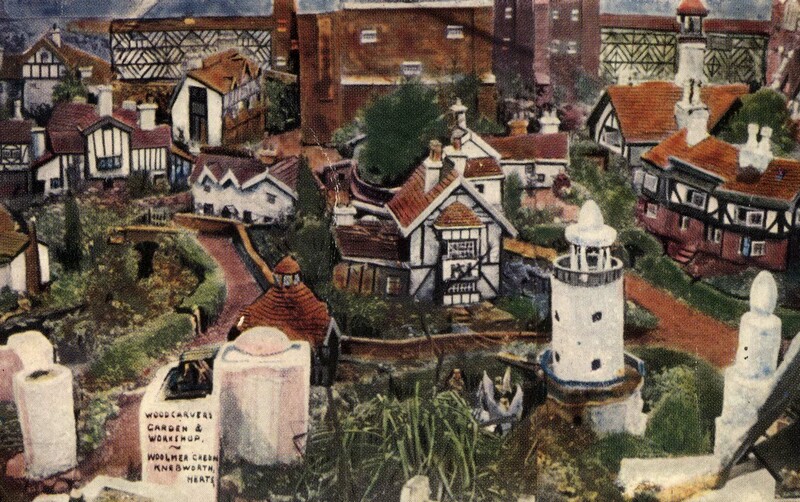 I was fascinated by the model village and never wanted to leave. 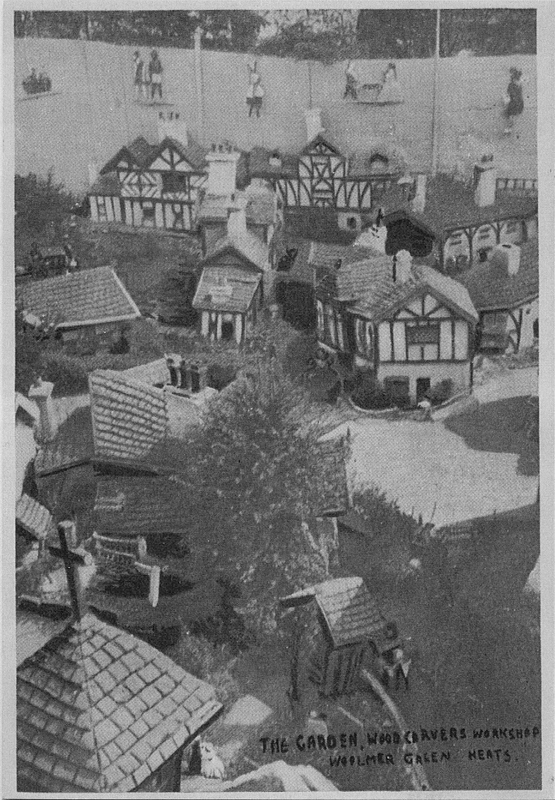 One day I hoped that I would be able to make such a village as that in my own back garden. Sadly it remains but a dream ! I still have the booklet written of A. O. 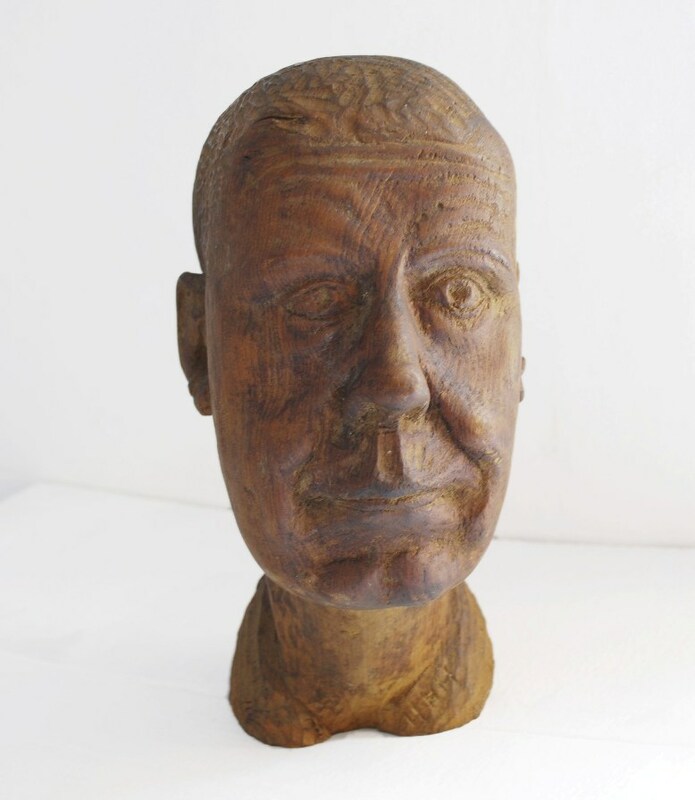 Head – ‘the Story of Harry Macdonald, the Woodcarver of Woolmer Green’. I wonder if he ever realised the pleasure that he brought to so many people such as myself. Thank you Harry. Rest in peace my friend. I lived in Knebworth just a few minutes away from Macdonalds house and model village from 1948 to 1953. My memories take me back to going to see this ‘wonderful site’ in the pram as my brother and I were only tiny (up to 5 yrs old) and my mother and sisters would take us along to be fascinated by the animated animals. I have often thought about this over the last 58 yrs and am delighted to have found it again via google. My memories are so fragmented and blurred of these early years. I also remember Polly’s Pantry…Was that in the village too or was that in Old Welwyn? I cannot recall. 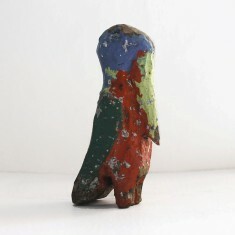 Any comment and information by anyone of that period would be most welcome. Sadly I lost my twin brother many years ago so I have noone to share this with.